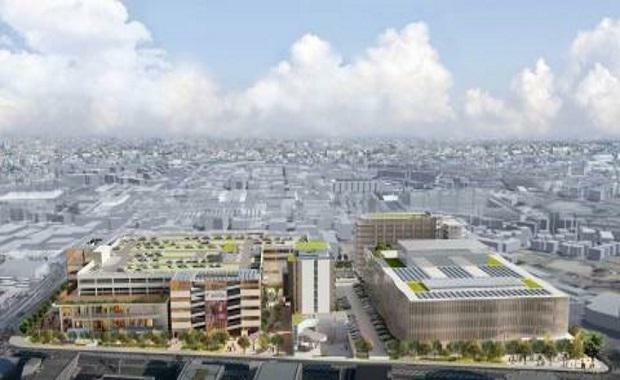 Panasonic Corporation and Nomura Real Estate Development have revealed a concept plan for a new smart town they plan to build at Tsunashima in the City of Yokohama, southwest of Tokyo. The concept plan sets forth the town’s environmental targets, safety and security goals, and rules for its landscape and operations, to create a town where participants from different industries collaborate in harmony to achieve their goals. Yokohama City will support the Tsunashima project as the city pushes forward its efforts as a “FutureCity,” a model city selected by the Japanese government to address common challenges including the environment. The Tsunashima Sustainable Smart Town (SST), at the site of a former Panasonic factory, consists of residential and non-residential facilities. Under the concept of “Innovating the Future Together,” private enterprises and the local government involved aim for an urban smart city. The Town Development Concept has set targets for the city, including numerical goals, such as a 40% reduction in CO2 emissions and usage rates of 30% or higher for new energies. The new town will have a town energy centre, a hydrogen refueling station and an international student dormitory. Tokyo Gas Group will install a gas cogeneration system in the town energy centre, from which electricity and thermal energy produced by the system will be provided to other facilities. JX Nippon Oil & Energy Corporation will be involved in operating a hydrogen refueling station, which is considered as the next-generation energy source, and promote hydrogen supply to fuel-cell vehicles as well as other initiatives toward a future hydrogen-based society. Keio University will open an international student dormitory designed to realize active international exchanges and collaboration with the local community through mechanisms encouraging student-led activities and practical efforts by researchers.